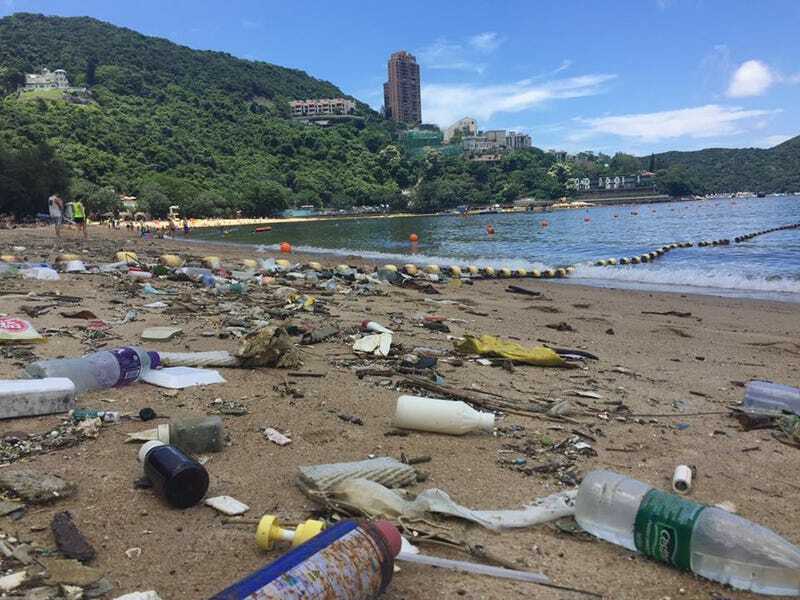 Visitors to Hong Kong’s beaches have taken to various social media channels to voice their outrage about the current state of the region’s beaches. Judging by the accompanying photos, they look more like trash oases than relaxing paradises. In photos, the rubbish looks to be a mixture of bottles, containers, and other plastic waste. The complaints began popping up in larger numbers about two weeks ago, and they’ve been rolling in consistently since then. 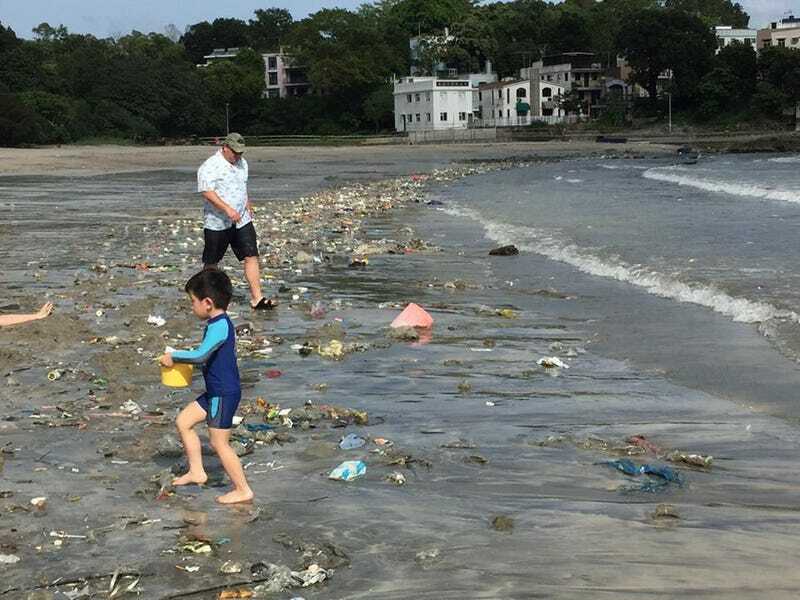 According to Quartz, the area’s beaches aren’t typically this dirty, because the rubbish lives in landfills far away from the region’s more crowded areas. While rubbish can sometimes be found scattered around, it’s usually not this bad. Though it’s unclear precisely where the rubbish is coming from, Sea Shepherd Hong Kong points the finger at “multiple culprits,” including mainland China as well as Hong Kong itself. 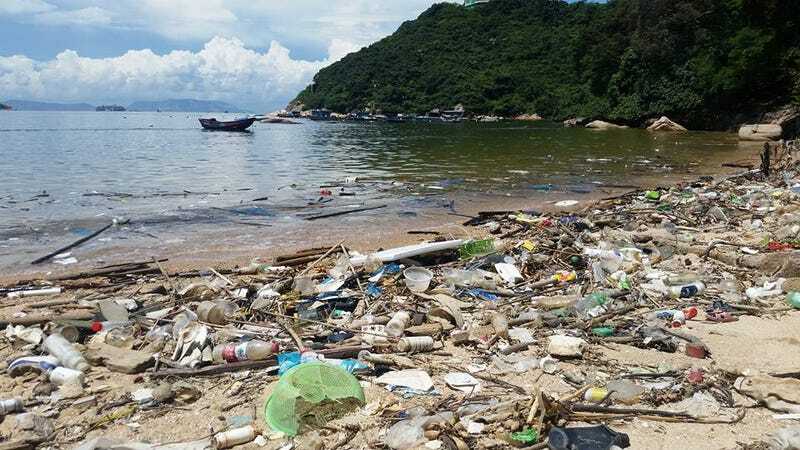 It also floated the possibility that an island called Wai Lingding—from which “sailors and fishermen from Hong Kong” have reported seeing a huge rubbish dump on the side of the cliffs”—may be responsible. The Hong Kong government thus far hasn’t officially addressed the issue, though one Facebook user posted a snippet of a purported email from the Environmental Protection Department, which claimed it wasn’t the right agency to address the problem. 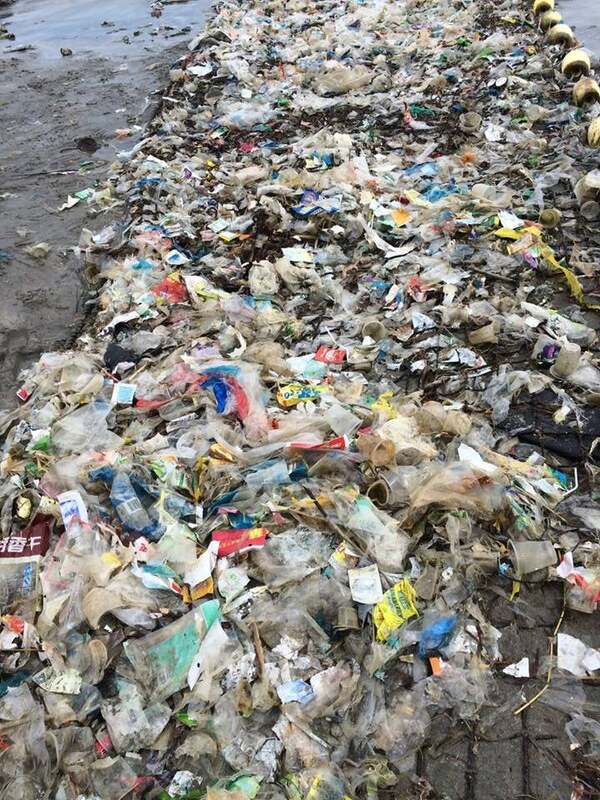 In May 2015, the government published the results of a study which found that “overall, marine refuse [human waste or material] does not constitute a serious problem in Hong Kong.” But this rubbish attack sure does look serious to anyone with eyeballs.